LEGO Star Wars Forum | From Bricks To Bothans • View topic - Who Doesn't Love A Classic Corvette? Who Doesn't Love A Classic Corvette? It's still the 40th after all, so why not celebrate all year long? It's a fantastic build with lots of great details and really nice shaping. I recommend taking a look through the album on Flickr to see and read about this retro rebel. Re: Who Doesn't Love A Classic Corvette? 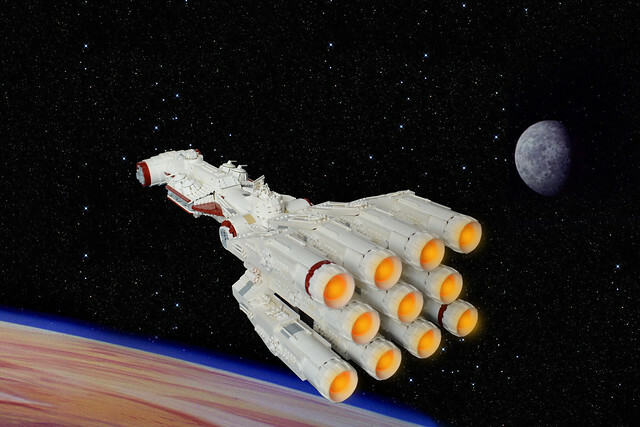 I love the blockade runner. Always appreciate a good Lego interpretation, plus Kit's stuff is always nice.